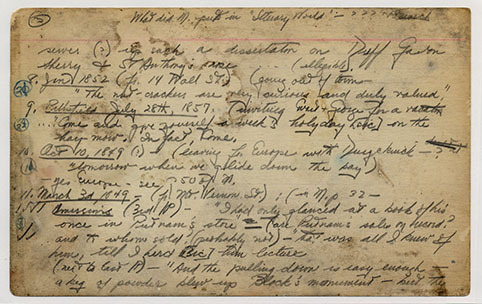 Charles Olson began a serious study of the life and works of Herman Melville while a graduate student at Wesleyan University in the early 1930s. 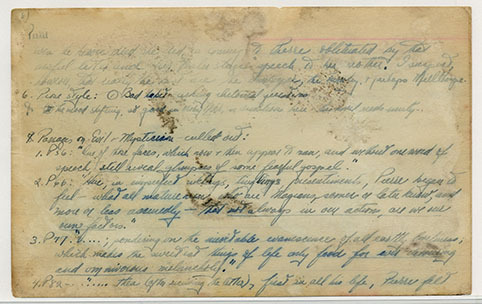 Olson’s Master’s thesis, The Growth of Herman Melville, Prose Writer and Poetic Thinker, was completed in 1933, but his work on Melville continued. 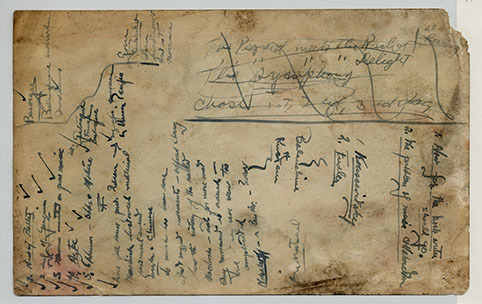 Olson was one of the first scholars to consider the importance of Melville’s reading and marginalia. 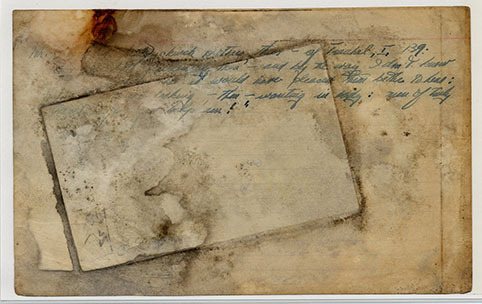 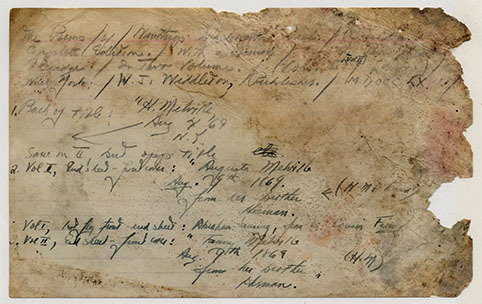 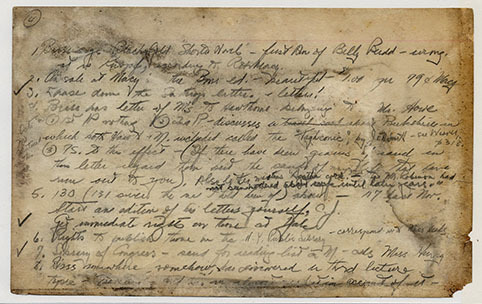 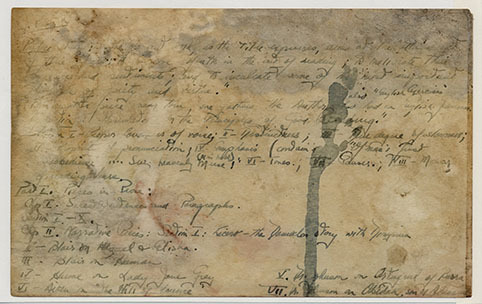 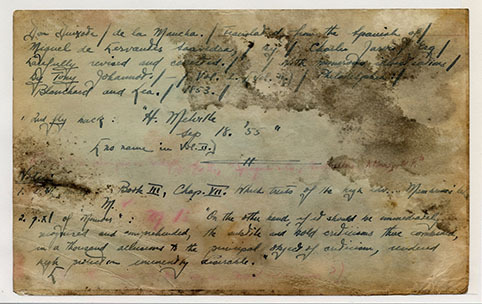 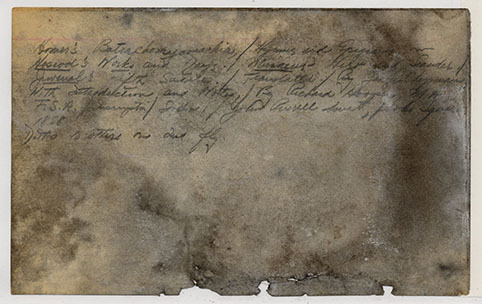 In the 1930s, Melville’s surviving literary manuscripts, letters, personal papers and journals, and reading library were still, for the most part, in the possession of the family and a few institutional or private collectors. 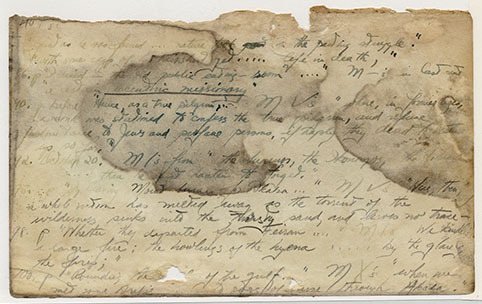 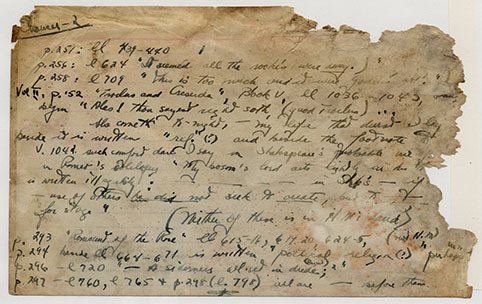 The most substantial collection of Melville materials unaccounted for at that point—and the materials that Olson pursued most vigorously—were the “lost five hundred,” the approximate number of books Melville’s widow had sold to a Brooklyn dealer in 1892. 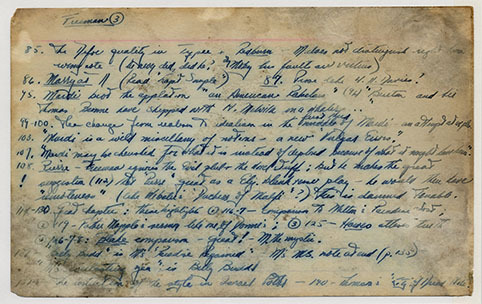 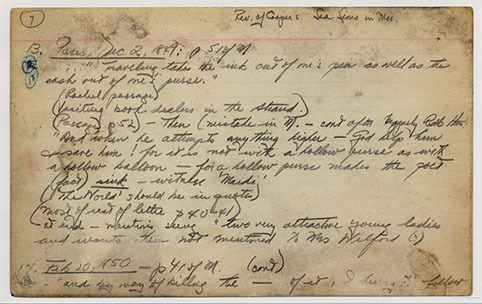 As a young scholar, Olson was indefatigable in his research; when he located a volume from Melville’s library in a grand-daughter’s home, in a private collector’s hands, or on a public library’s shelves, Olson carefully transcribed onto 5 x 7-inch note cards complete bibliographic information on the volume, as well as the content and location of Melville’s annotations and reading marks.